Home > Events > China’s Crackdown: How Far? How Deep? China’s Crackdown: How Far? How Deep? President Xi Jinping’s crackdown on all sources of political diversity inside China is reaching new heights and is being compared with some of the ideological campaigns that Mao Tse-tung once waged. The number of dissidents and lawyers fleeing China has reached levels not seen since the suppression of the Tiananmen demonstrations in 1989. Xi’s government has targeted foreign non-profit groups, journalists, educators, local courts, and Internet activists, and has even created a special tool called the Great Cannon to disrupt foreign websites that host content not considered favorable to the government. 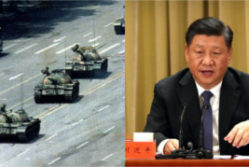 In so doing, Xi is dashing any hopes that the Communist Party would allow a process of “peaceful evolution” to develop. Please come to a panel discussion that will consider these increasingly dramatic developments. As the anniversary of the suppression of Tiananmen Square protesters approaches on June 4, a panel of experts considers how far Xi will go in taking steps against not only corrupt members of the Communist Party, but also against all elements of a civil society. Panel members will also discuss the implications for U.S.-China relations. The program begins at 6:30 p.m at Club Quarters. Stop by for a reception at 6:00 p.m.
Kathleen McLaughlin, who is just completing a Knight Journalism fellowship at MIT and returning to Beijing as correspondent for Science magazine. 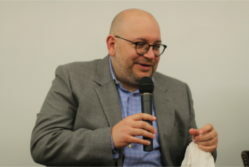 She previously reported from China for The Economist, The Guardian, and BuzzFeed and is head of the media freedoms committee for the Foreign Correspondents’ Club of China. Ying Zhu, professor of media culture at the City University of New York, College of Staten Island, an expert on the Chinese media and cultural institutions. Jerome A. Cohen, professor at New York University School of Law and co-director of its U.S.-Asia Law Institute. He is a leading expert on the Chinese legal system. 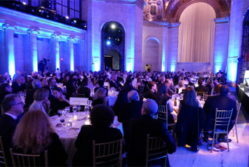 Attendance is free, but you must make a reservation at RSVP@opcofamerica.org or call the OPC office at 212-626-9220.